You can transfer your IRA CD to another bank, but you should wait until your CD comes due. 2. Can a CD at a Bank Lose Money From an Early Withdrawal? In addition to a savings account and a 401(k), you can squirrel some of your savings away in an Individual Retirement Account. 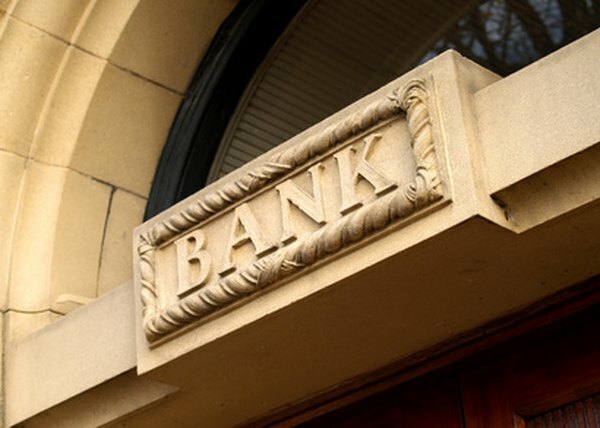 An IRA is controlled by a particular bank or financial institution. Banks offer many different investment options for an IRA, including a Certificate of Deposit, or CD. IRA CDs are accounts that promise a set amount of interest. In exchange, you must keep the funds in your CD for a set amount of time, usually between six months and two years. It is possible to transfer your IRA CD to another financial institution. However, if you try to transfer your IRA CD before the CD comes due, you will likely have to pay a fine. Determine when your IRA CD comes due. You can find the due date on your bank statements. Unless it's absolutely essential, wait until the due date to transfer your IRA. Otherwise, you will likely lose two to four months of interest. You might also have to pay early withdrawal penalties. Search for more competitive interest rates for your IRA CD. Use aggregation websites such as Bankrate, which allow you to compare interest rates from several different banks. Confirm that the bank with the best rates is in good standing by checking with the Better Business Bureau or websites such as FindABetterBank.com. Get in touch with the bank where you would like to transfer your IRA CD. Ask a representative for the paperwork you'll need to fill out. Also, confirm the rate that you researched online and ask if there are any special deals or promotions you should know about. Fill out the transfer forms and file them with your new bank. This will allow the bank to transfer the funds automatically from your old bank to your new one. If you get stuck controlling your funds, make sure to get them into a new IRA CD in less than 60 days. Otherwise, you will have to pay income taxes on the money, along with a 10 percent penalty for early withdrawal. Contact your current bank. Inform them that you will be transferring your IRA CD. Make sure your bank will not automatically roll your IRA CD over. Call your new bank to confirm that they have received your funds. Before you transfer your IRA CD, ask your bank if they can match competitor rates. This may save you the hassle of transferring your funds. If you controlled the money in your IRA CD at any point during the transfer process, you will have to fill out a special tax form. If you controlled the money for less than 60 days, you will need to fill out a 1099-R. On this form, you'll list the total amount of money you transferred from your old bank to your new one. Deposit Accounts: What's So Special About an IRA CD? Amanda Erickson has been writing professionally since 2008. She has written for the "New York Times," "Christian Science Monitor" and "Chronicle of Higher Education." Before moving to New York, she worked as a political blogger at the "Washington Post." Erickson holds a Bachelor of Arts in urban history from Columbia University. Can I Withdraw Money From My Online Savings Account? Is There a Penalty for Transferring Mutual Fund Accounts? How Many Times Per Year Can an IRA Rollover Occur Without Penalty?